Note: Part of email sent to my subscribers on 09-Oct-2015. If you want to receive such newsletters please subscribe at the end of this post. On September 4, 2015 I had recommended to buy ICICI Bank shares. On that day the share was trading at 256. You can read the email by clicking here. Right now ICICI bank is trading at around 285. If you listened to my advice and bought the stock, please sell and book your profits. 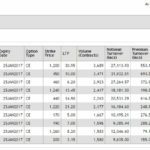 11.32% return in about a month is a great return. Why I Did Not Buy Options of ICICI Bank? That is because my view was bullish but I had no idea when the target will be hit. Like I said in that email my view was that it will take about a couple of months or more to hit that target. 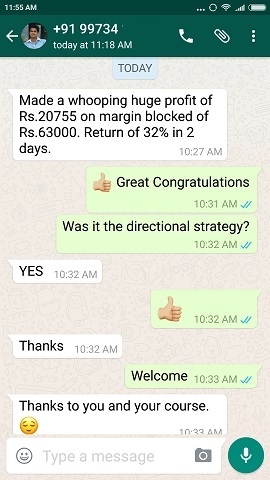 Now if I buy options and the stock does not move for a month then I lose all premium paid for the stock. Mind it ATM (at the money) options on stocks are very costly. I did not check but it must be close to Rs. 20,000 for one lot. So what happens is my view is correct but I still lose 20k – that’s pretty bad. It is no good situation to be in. I mean your view is correct but you still end up making a loss. If my view is correct I should be able to make money – it does not matter to me from where the money comes. For me a profit is a profit – it does not matter it comes from stock buying or option & future trading. Why I Did Not Buy Futures of ICICI Bank? Agreed had I bought Futures my profits would had been much more, but again it was not an option. Today if the stock was at 200 – I would have been sitting at a huge loss. This is something I really hate. I am OK with a small loss but I will never take a trade that can make a huge loss. Yes I could have hedged my Future trade by buying a Future and buying a Put as well – but again that would mean that the trade will finish on the expiry day of September 2015. I will have to take profit or loss on that day whatever it is. 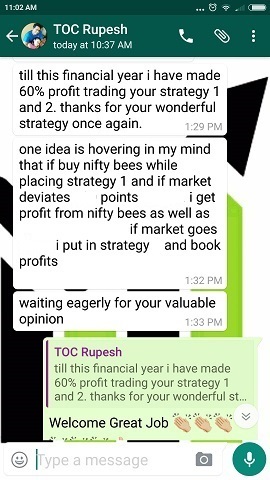 Since my view was that the stock will take at least 2 months to reach there – my trading plan and risk management was not allowing me to trade Futures even with hedging. It is a totally different thing that the stock hit the target in one month. But I don’t look at it that way. I know I could have been wrong – and on something that’s very predictable I do not want to lose money there. I am willing to wait for my profits. Also I can be wrong next time. So I will trade only what is the best possible trade there. I will not force myself to trade options or futures or cash. I will take my view, and plan accordingly without any bias towards the instrument I am going to trade. It is my money after all and I will trade what is the best possible trade for me at that time. I am now looking to hedge my mutual funds profits here through options, as I have decided on a 10% return, I cannot let go a 6% return which it is currently at right now. If I do a trade will surely inform you. If you have not taken my course I strongly suggest you do it now. 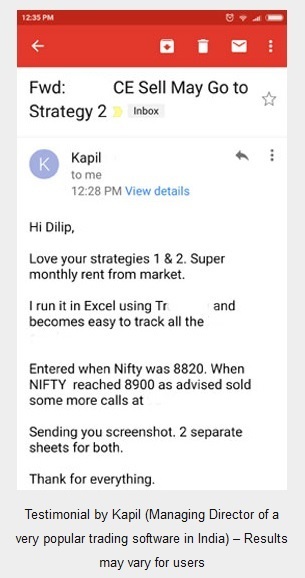 Lot size is increasing next month 3 times on Nifty. So if you are losing money I bet your losses will increase 3 times too. Do not let that happen. Invest in knowledge. Please do not waste your time and money with tips providers or your brokers’ recommendations. 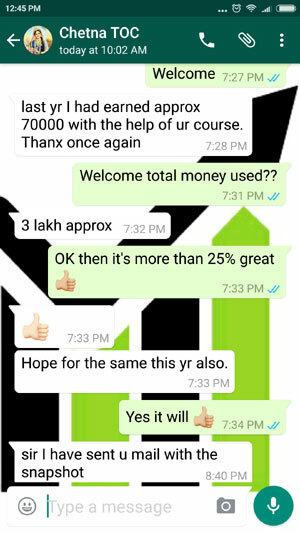 Only knowledge can help you make money from stock markets. And if you think you cannot learn then sorry you are mistaken and are underestimating yourself. If you decide to learn no power on this earth can stop you from learning. Click here to read about my Conservative Strategies Course Now. Thanks for being my subscriber. Hello nice article. But how come ur articles are seen after event has taken place before that they are no where.. ? I mean i can write articles in back dates on my blog..!! Hope that is not the case because this very article was not present 2 days back on ur site and suddenly when both AXIS and ICICI fell today..suddenly it appeared in back date? For me my newsletter subscribers come first. Some of them are my paid subscribers and some, actually most, are not. But I don’t care. I have their interest more in mind than a new visitor to my blog. Moreover someone who visits my blog just now does not know me nor does believe in me. But gradually they sign up. If I find an investment that can make money for my subscribers – I FIRST send them a newsletter immediately. Then later I update it in my site. The information was sent and my job was done – that is it. I can always update that info later in my site. Like today morning also I sent an email – but I will update later. However I will adjust today’s date as the info was sent today itself. A new visitor does not care. The old ones get the information if they subscribed. It is my money after all and I will trade what is the best possible trade for me. I mean your view is current but you still end up making a loss. I mean your view is correct but you still end up making a loss.